Another walk from Brownsover into Rugby today. This time the reason was to post some important documents to London. I found the Post Office (It wasn’t lost…. I was!) and stood in the queue. I am unfamiliar with Post Offices as Jan usually does the family administration. However I explained to the teller that I wanted to post my letter using registered mail as the documents were important and I wanted to make sure they would arrive. First the teller asked if I wanted a signature on receipt, which I confirmed. Then after paying, the teller mentioned it wasn’t guaranteed that the envelope would arrive. “What!” I wanted to send it registered post to ensure it would arrive. After some further discussion I think she meant it would go by normal rather than express post but it would still be registered. Well I hope that’s what is going to occur! 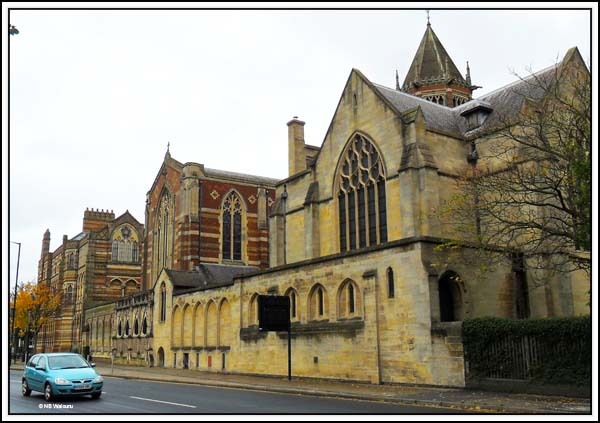 The second activity was to have a look at Rugby School. What Kiwi rugby fanatic wouldn’t want to see where the great game was born. And they even named the town after the game! 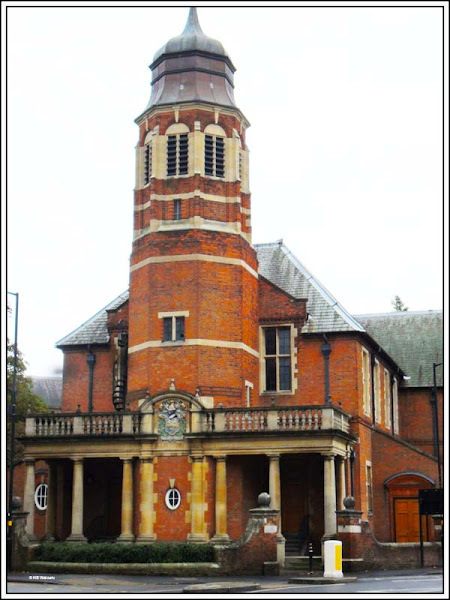 It’s one of the oldest independent schools in Britain and is a registered charity. 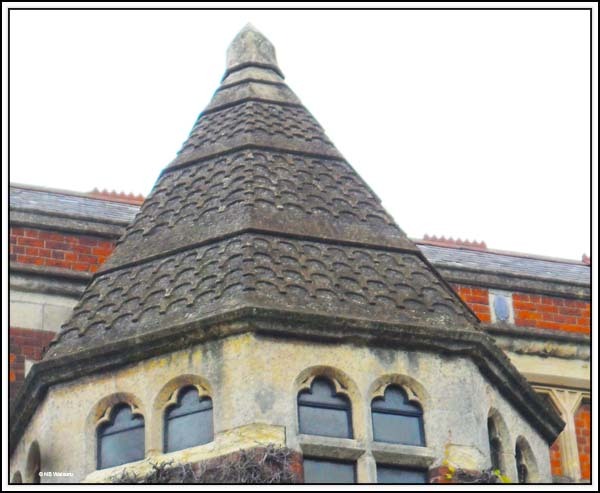 The school was founded in 1567 as a bequest from Lawrence Sheriff who made his money supplying groceries to Elizabeth 1. 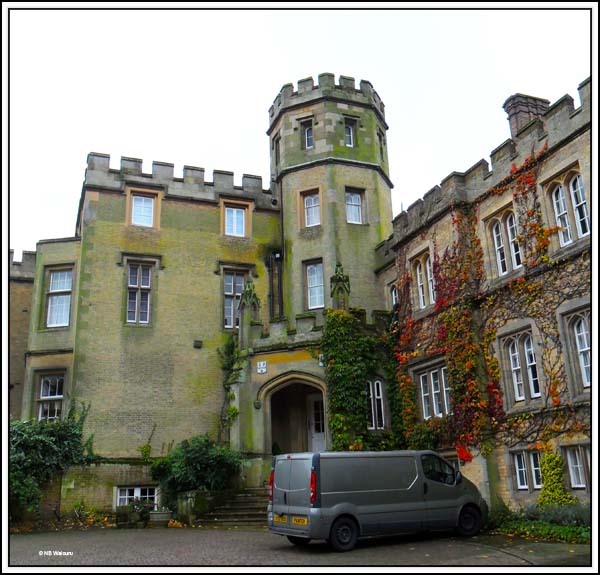 The school was intended to be free to local boys from Rugby and Brownsover but for almost 100 years his descendants attempted to reverse the bequest. You might say the school was saved from collapse through the efforts of the trustees and excellent headmasters. By the 1700’s the school was attracting pupils from all over southern England and gaining a reputation for scholarly excellence. However at the end of that century there was a major rebellion by the pupils resulting in the headmasters classroom door being blown off and books being burned. The pupil then retreated in the face of the local armed militia and only surrendered when the Riot Act was read. 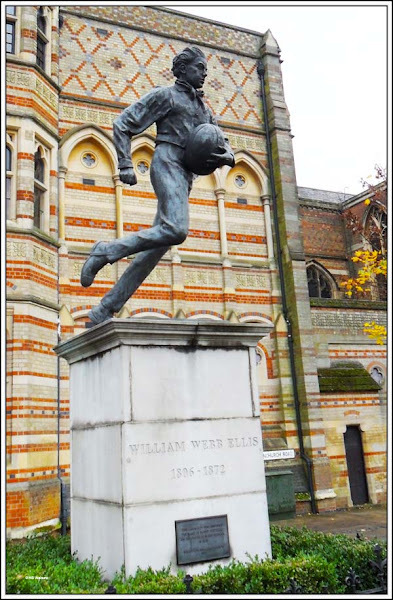 It was in 1823 that pupil William Webb Ellis picked up the ball and ran with it thereby creating the great game of rugby. 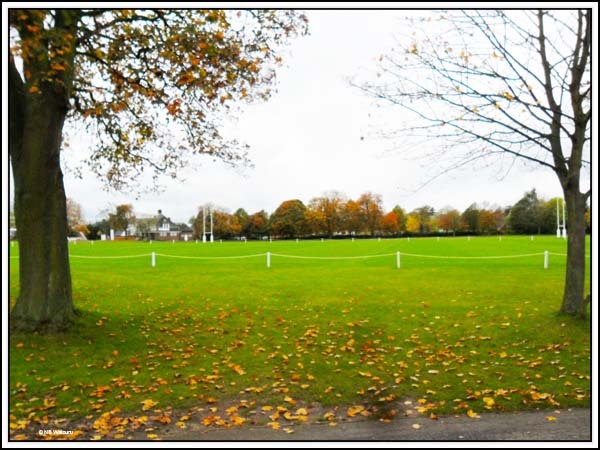 Of course Rugby School isn’t just famous for inventing the great game. One of the school teachers also wrote “Tom Brown’s School Days (1st publish 1857) placing Tom in Rugby during the 1830’s. 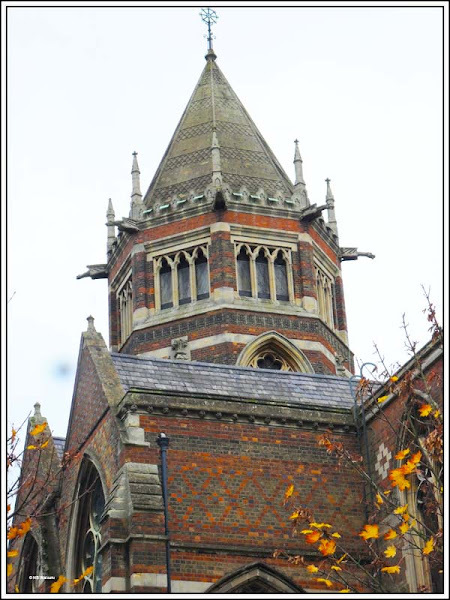 In 1878 the school expanded accepting pupils from a much greater catchment area. 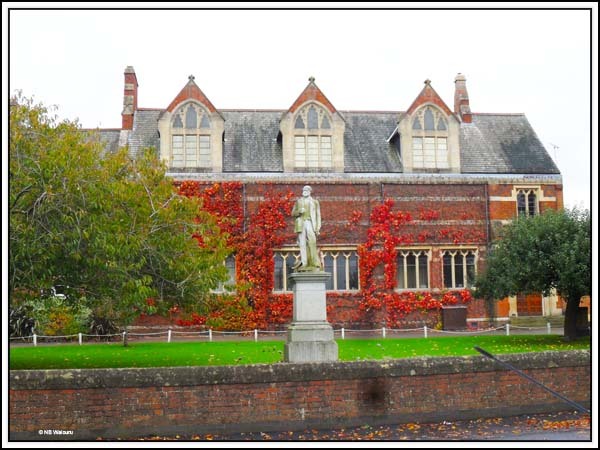 Whilst the number of buildings increased the ‘core’ of the school still revolved around the 1815 Quad and ‘School House’ which was the home of the headmaster. School House. Apparently the headmaster’s study is at the top of the tower. No one was out playing on the rugby fields when I walked past. I suspect not much of the original school exists with the oldest building now only being approximately 200 years old. At the eastern end of the school is the School House, Old Quad, School Hall, Old Big School and chapel. 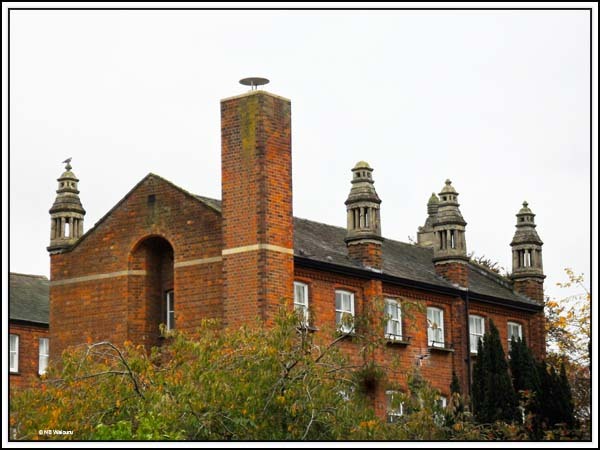 The school extends to the opposite side of Barby Road and these were the buildings I first noticed during my walk. This was the first of them. It’s the Temple Speech Room, opened by Edward VII in 1909. BBC ‘Mastermind’ was held in it! The roof of this school building caught my eye. I suspect it’s made of concrete as it doesn’t appear to be clad in tiles. The adjacent building had a statue in front which I think is off a former headmaster. It was the chimneys on the next building that really interested me. So what caught my eye in the following photo. 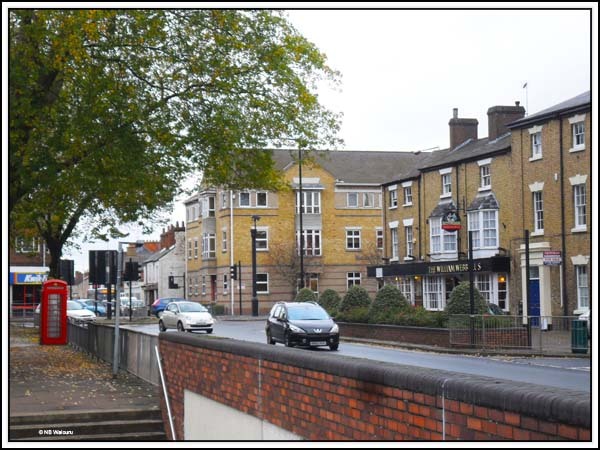 On the right if the street is the William Webb Ellis pub. No… it was another of those red telephone boxes on the left! But the humorous end to the walk had to be this old Tudor style building. 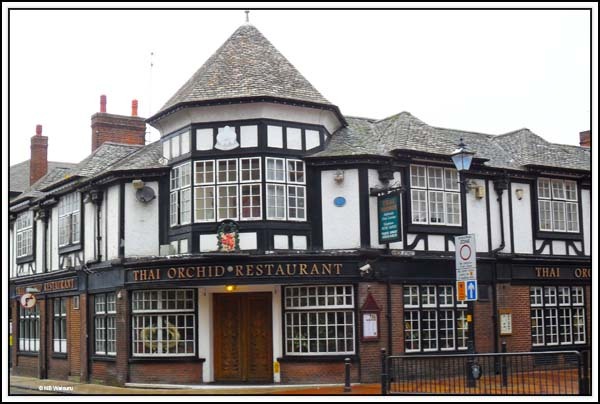 The Thai Orchid Restaurant…….. In a Tudor building! Royal Mail Special Delivery is the postal service for important things that need to arrive. With that, next day delivery too, and online tracking. I have a school friend from senior school in Bolton who teaches Latin at Rugby. By coincidence he is married to a school friend of Margaret's from the time she lived in Walsall as a child. They met and married without any input from us - just a 'small world' occurrence. Well in that case I didn't send the post using the mode I wanted! And William Gilbert was a boot and shoe maker for the school and supplied the ball that Webb Ellis picked up and ran with, they still make balls for and are a sponsor of the Rugby world cup. Wasn't the game of fives also invented at Rugby School? A bit similar to squash, I think. I believe you're correct. Interestingly, I used to play Fives as a secondary schoolboy in Wellington, NZ. 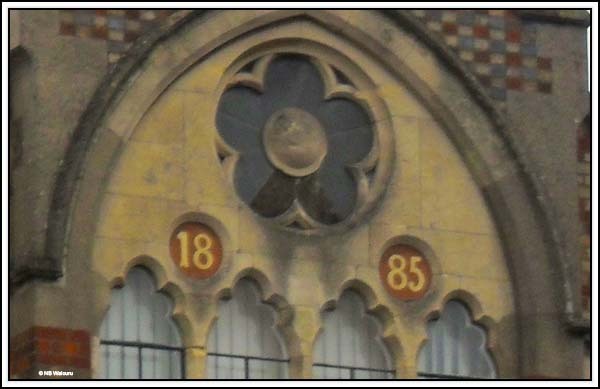 Of course many of the teaching methods devised at Rugby went to the colonies.